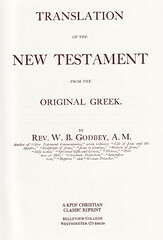 Title: Translation of the New Testament / from the Original Greek. By Rev. W. B. Godbey, A. M.
References: Chamberlin 566-5; Hills 2142, Taliaferro-BVE CN00131, Taliaferro-EELBV 7675. 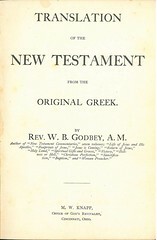 Title: Translation of The New Testament / From the / Original Greek. By / Rev. W[illiam] B[axter] Godbey, A.M. 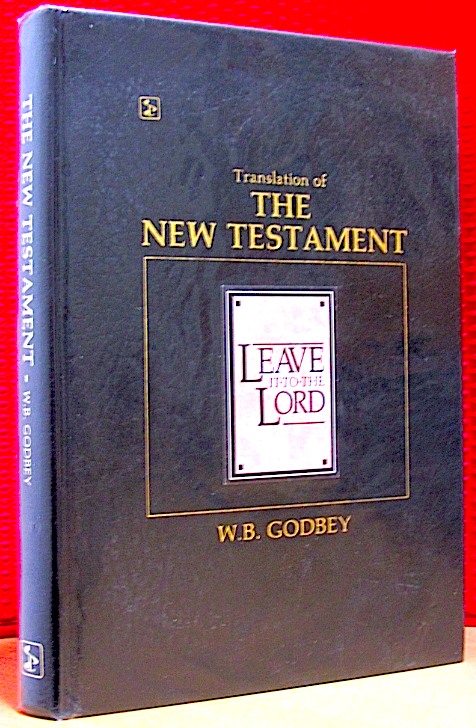 Contents: New Testament in traditional canon, but see below for details. – Prologue (3 pp); Synopsis of the Harmony (6 pp.). – Appendix: Apologue (2 pp). References: Chamberlin see 566-5; Hills see 2142, Taliaferro-BVE see CN00131, Taliaferro-EELBV see 7675. 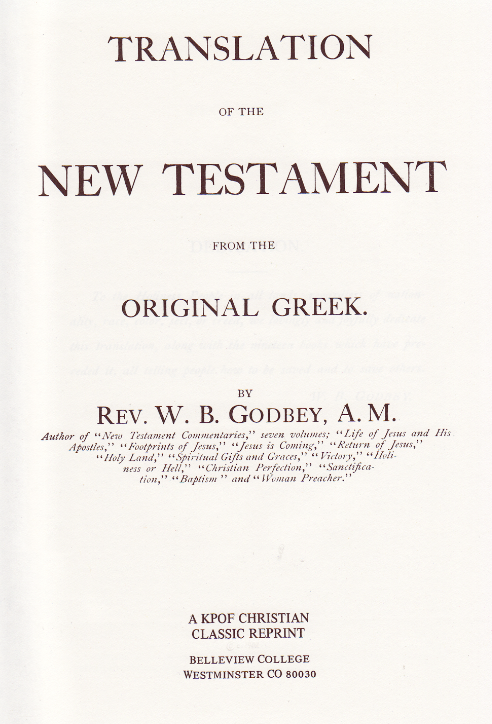 Comments: The Gospels are arranged as a synoptical harmony, with the Gospel of John included; Scripture text of Synopsis arranged in one to four columns and set paragraph–wise with superscriptions. Cross references and alternate readings in footnotes. Acts, Letters and Revelation in single column with footnotes. No introductions. Rev. William Baxter Godbey, D.D. 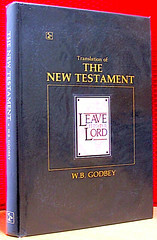 (* nr. Somerset, Pulaski County, KY (U.S.A.) June 3, 1833 † Sept. 12, 1920 Cincinnatti OH (U.S.A.)) was a leading figure of the holiness movement within the Methodist Episcopal Church, South and inter-denominationally.